We Design and Build Basements … Great Basements! Finished Basement Company. The best in basement finishing. After 20 years in business, Finished Basement Company has mastered the art of basement finishing. Beautiful basements. Beautiful spaces. Our design and build experience has resulted in the best processes and techniques in the business. 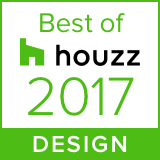 Our award-winning designers invest the time to understand the homeowners’ goals. Working closely with the entire design team, we meld the best ideas for the space and transform it into a true extension of the home. Our expertise allows us to guide homeowners throughout the design/build process. This positive experience continues through the build stage. The homeowners work with our expert project managers who oversee the entire process. The project managers’ technical expertise and professionalism ensure quality work and clear communication. Daily communication with the homeowner and a cohesive relationship with our in-house design team and trade partners results in a space that will exceed the homeowners’ expectations! Read about our projects and keep up on what is going on at Finished Basement Company.